The Barkcamp Race-Ultra, Full Marathon and Half Marathon Trail Race & 10k Road Race is a VRRM Timed event. Did you know you can camp free, stay in discount motel rooms, get a tie dyed made in the USA tech shirt, bridge that gap tween 50k and 50 miles if you're an ultra runner, run a 10K on the road..run a half or whole trail marathon, get a cool medal all less than 1.5 hours from Columbus, Morgantown, or Pittsburgh? You can drink Tailwind along the way and get suppz by Honey Stinger. Did you know you get a full hot meal and a massage post race? Did you catch the part about made in the USA tech tie dyed shirts? WE HAVE BEEN RUNNING TRAILS FOR 17 YEARS (WAY BEFORE IT WAS COOL ) AND WE KNOW WHAT YOU WANT WHEN YOU GO TO A TRAIL RACE!! PLEASE SHARE OUR EVENT WITH YOUR RUNNING AND WALKING FRIENDS!!! Happy to say that Altra will once again be with us. We have dropped Hammer and brought in Honey Stinger and Tailwind by popular demand. New aid station food for our all runners/walkers is being planned. Sports Science will once again be helping us out with the shirts that everybody loves! 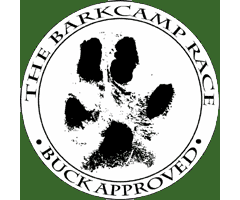 Check us out at www.thebarkcamprace.net for full details on how to join on October 6th. The Barkcamp Race will feature a well-marked Half Marathon, Marathon, and 40 Mile Ultra course throughout Barkcamp State Park's trail system along with a 10k run/walk on the road. as well. The 10k is 100% pavement. The terrain promises lots of up and downs. 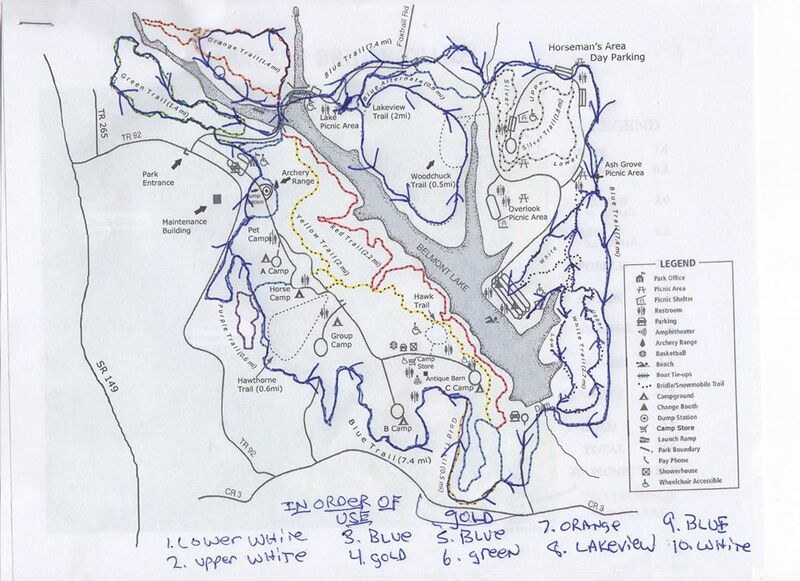 The course will be marked with ribbons, arrows, and signs. The trail races are 99% on trails. Participants can take two laps for the Marathon distance or three laps for the Ultra 40 miler. There is a half marathon walk available to the hikers among you, who want to support our park. A few have walked the full marathon. This requires a quick pace and the 7 am early start is recommended. The race begins and ends at the beach. There will be 4 aid stations at spaced evenly throughout the course and at the Start/Finish line for those brave souls taking more than one loop. Aid stations will have Tailwind and Honey Stinger products, water, pretzels, potato chips, cookies, PB&J sandwiches, pickles, candy, boiled potatoes, bananas, and soda. We ask that you bring a water bottle to lessen paper waste. All aid administered to runners by family, friends, and crew must take place within 100' of an aid station. We will have a drop bag location near the Start/Finish line. The park has a campground area that is free to participants for Friday and Saturday night (contact us to reserve a spot-not ODNR), and there are many hotels in our area, Sleep Inn Belmont being the closet and offering a discount to you. The 40 miler is back for its second year by popular demand and is a chance to do three laps of our course. The Ultra will begin at 6 AM sharp and a headlamp or light of your choice will be required. You will have 10 hours to complete the course. 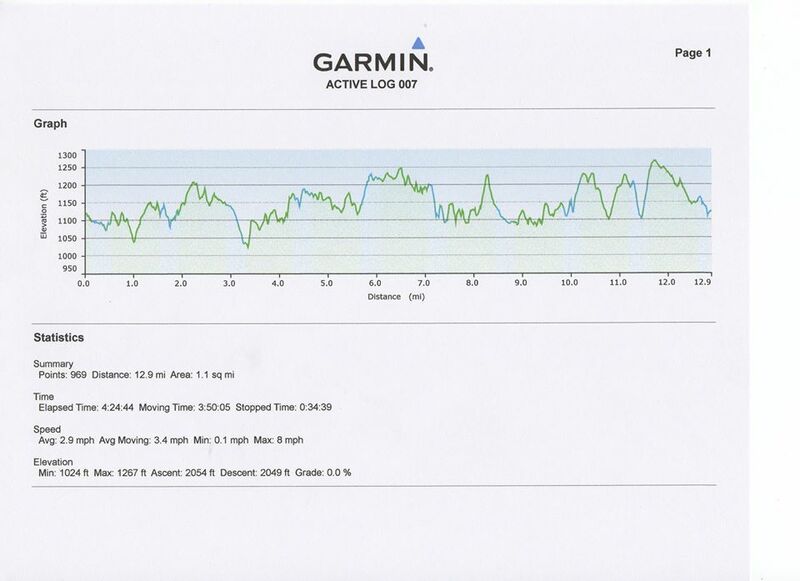 Aid stations will not be open till 8 AM but we will have an unmanned aid station around halfway with water and Tailwind. Please see the info on aid stations, drop bags. etc under the Half/Whole Marathon section. We will be adding some sort of reflective tape or ribbon this year to make it a bit easier to follow the course in the dark. A challenging course with lots of ups and downs through the beautiful park. 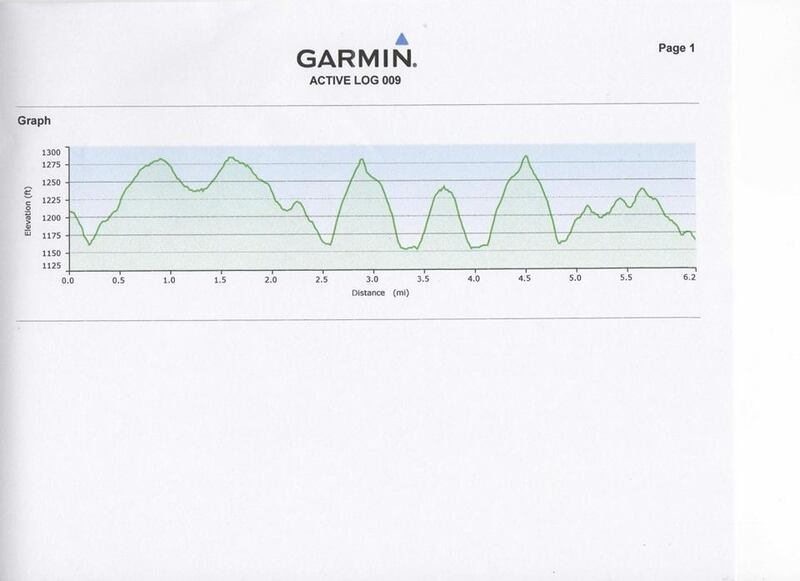 The course will start and finish at the beach and go out towards the park entrance on the service roads with an aid station around miles 2.5 and 3.5. Please carry a water bottle with you and help us save paper waste! Ultra Marathon: Race starts at 6:00am — headlamp or light required. Half or Full Marathon: Both races start at 8:00am, early start at 7:00am light required with no awards for the early birds but swag will be given. 10K Race starts at 9:00am. Friday, October 5th, from 5:00pm to 8:00pm at Barkcamp Beach, and Race Day morning after 5:30am for the ultra, 6:30 am for everyone else! Finisher's medal and tie dyed gloves for all who complete any event and something really cool to be determined for our friends who do the 40 miler,. AWESOME), SO SIGN UP EARLY!! SIGN UP AFTER 9/1 AND YOU WILL BE GETTING A PLAIN SPORT SCIENCE SHIRT. STILL A NICE SHIRT BUT NOT TIE DYE!! THEY NEED A MONTH WINDOW TO CUSTOM DYE AND LOGO AND SHIP OUR SPECIAL SHIRTS HERE FROM NORTH CAROLINA. Massages available by Matt Bashline, the Misfitz Licensed Massage Therapist, from 7:00am until 4:00pm. 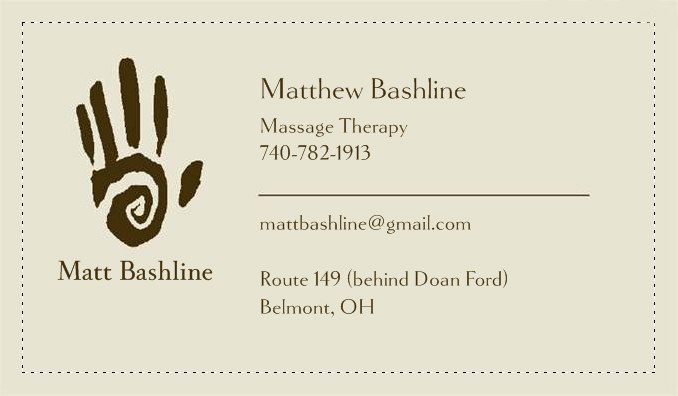 Matt can be reached by phone at 740-782-1913 if you would like a night before or day after massage. DISQUALIFICATION POLICY: The Ultra cutoff of 10 hours and the Marathon cutoff of 8 hours (18:20 min/mile pace on the course) is strictly enforced. The aid stations close accordingly. If a runner is unable to keep the appropriate pace and is in danger of missing the cutoff they will be asked to remove themselves from the race. If a runner refuses to do so they will be immediately disqualified and will be on their own for all aid on the race course as well as the finish line should they choose to continue. This cutoff is enforced for the safety of the runner as well as the rescue team who would need to search for runners on the course. An early start option is available for those who do not feel that they can complete the Marathon in the allotted time. Choosing the early start extends the Marathon cutoff to 9 hours (20:45 min/mile pace). If it is determined that any runner cuts the course in any fashion, whether intentional or not, they will immediately be disqualified from the race. The Sleep Inn & Suites in Belmont is proud to be this year’s host hotel. They are offering race participants a 20% discount on room reservations. Call 740-782-1298 and mention Discount Code “RACE” to receive your discount. Camping is available in Barkcamp State Park. 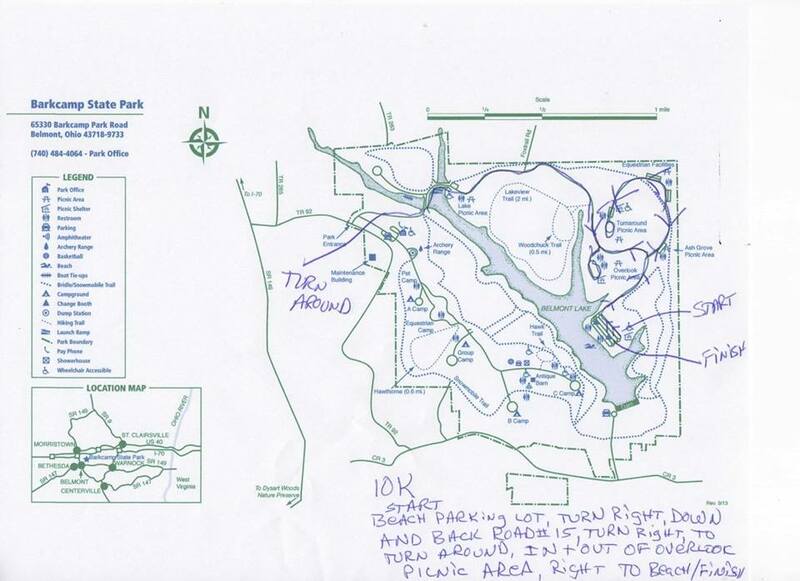 Here’s a link to the campground map, we can get you in the group camping area ONLY for free. And, if you ask early, we have a few couches and floors available! Belmont County while you are there!